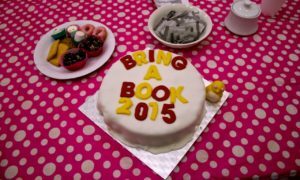 The College had a Coffee Morning and Book Sale in the school on Friday 20th March. The event was hosted by Transition Year students. On the day the school had a Bring-a-Book, Buy-a-Book event and there were lots of great books available to buy for €2. The main purpose of the event was to raise money for St. Michael’s House. St. Michael’s House provides services to children and adults with intellectual disabilities. The coffee morning itself began at 9.30 and we also welcomed students from local primary schools along.